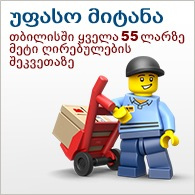 დაეხმარეთ მარტოხელა რენჯერს და ტონტოს, რომ დაიბრუნონ ვერცხლი, ბუტჩ კავენდიშისგან საბადოში, რომელსაც გააჩნია კატაპულტის და კლდის აფეთქების ფუნქციაც! 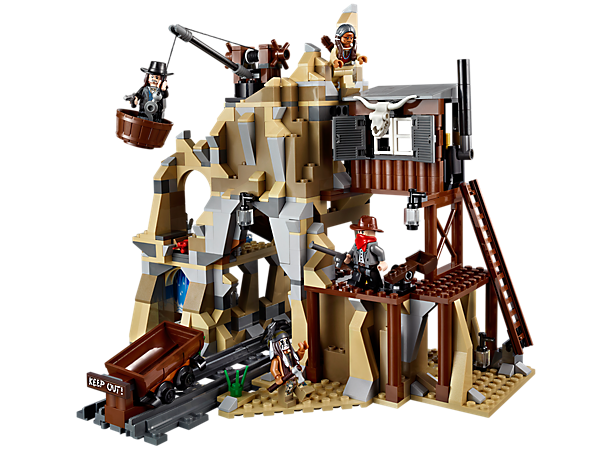 Sneak up on Butch Cavendish and his bandit buddy in the Silver Mine Shootout! 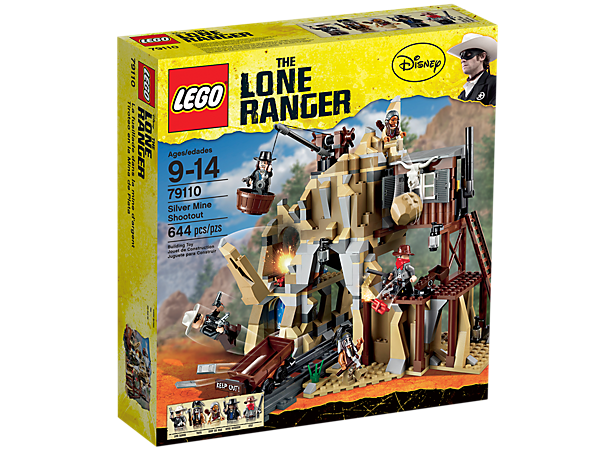 Help the Lone Ranger, Tonto and Chief Big Bear ambush the gang and reclaim the silver in a set that’s packed with functions! Enter through the secret waterfall and climb the ladder up to the crane. Lower the crane’s bucket and tote away the silver! 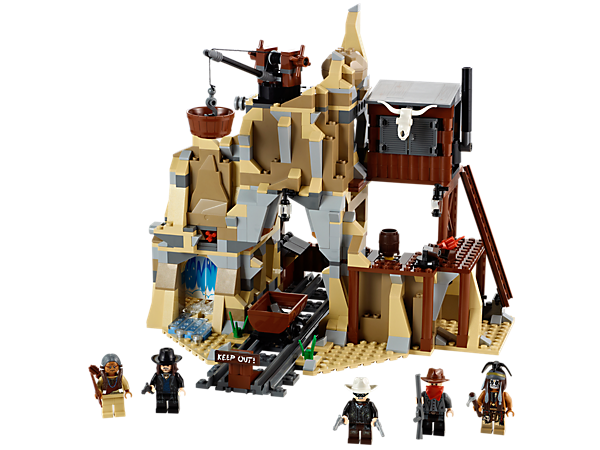 Send the boulder flying and fire the exploding rock function as you battle to get out of the mine with the treasure! Escape fast by tripping the trapdoor and sliding down the chute. Load everyone into the cart and launch the dynamite into the air with the catapult! 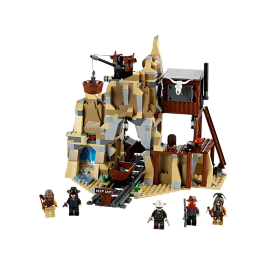 Includes 5 minifigures with weapons and accessories: the Dusty Lone Ranger and Tonto, Chief Big Bear, Butch Cavendish and the bandit, Skinny Kyle. • Lower the bucket into place and reclaim the silver! • Sneak through the secret waterfall entrance! • Dodge the flying dynamite! • Jump in the cart and make a quick escape!